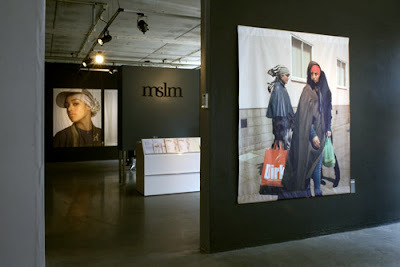 ROTTERDAM (Reuters) - Rotterdam gallery curator Natasa Heydra and student Bushra Sayed are among the editorial team of glossy fashion magazine MSLM, launched in April in Rotterdam. 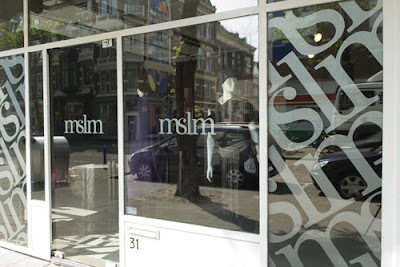 The title of the English, Dutch and French language magazine -- which they say is a "zero issue" or one-off for now -- is a play on the Dutch word for female Muslim, Moslima, and the clothing sizes medium-small-large-medium. They spoke to Reuters about the target audience of the magazine -- and how they saw a gap in the market. Q: Who is the magazine for? Heydra: It is for Muslim girls but also for all girls. We made it because we couldn't understand why there wasn't such a publication yet. On the streets in Holland we saw a big group of Muslim girls and they look beautiful, yet when you look at the media or magazines they only focus on the problems and the differences of these women. But there are also 16, 17, 18-year-old Dutch girls who are interested in style and trends. Sayed: The idea of the magazine is to show that you can look fashionable and cover up at the same time, to show how street style can combine with a head scarf. If you watched Women in Black earlier this year, you may remember that presenter Amani Zain took a look at this magazine in Episode 5. These are pictures from the MSLM exhibition, which was held in the MAMA showroom. You can see more pictures here. You can see more from the magazine's pages at Studio Beige. It also featured beautiful henna art, which you can see more of here. Looking at the pictures from the magazine, what first strikes me is the quality and professionality. I especially love the henna art shots. I did notice though that the magazine doesn't just cater for what you might call 'traditional' hijab fashion. A lot of the outfits obviously don't fall into the category of what is accepted as full hijab. Saying that however, the magazine is primarily about fashion, and not hijab. 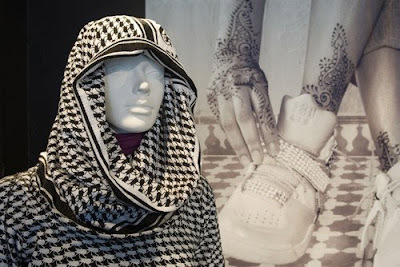 The creators are aiming at Muslim girls who do and don't wear hijab, but still want to cover up to some extent. This does have me thinking though - just because MSLM featured a few hijab-wearing girls, is it really that different from any other fashion magazine? Most of the outfits they featured you could easily see in any mainstream publication or fashion house campaign. However, I think it's great that Muslim women and their clothing are being seen in a positive light, whether or not I think that clothing is appropriate. MSLM is a one-off, and you can buy it from Amazon. I think I'll have to get my hands on this to see for myself! What are your thoughts on MSLM? Has anyone here bought it? I saw MSLM more than a year ago, and I can't remember where lol . I remember at the time wondering if they'd keep it up or not. I think it would be cool. Maybe it's similar to Muslim Girl magazine here in the U.S.? They also pander to both hijab and non-hijabis. were can i find Muslim girl magazines beacuse were i live there its any!! ?